In case you missed it, the National Cannabis Industry Association just held one of the biggest Expo’s in the industry right in Treez’s backyard in Oakland, CA from June 12-14. We at Treez had the opportunity to showcase a hybrid of our solutions on the expo floor with two kiosks that demo’d our intake, online menu and a payment solution. We gave away some Treez swag, exchanged business cards and invited attendees to visit our suit. We shared a suite with the folks from Headset and Baker and held a joint happy hour from 5-7pm on Tuesday evening. The energy in the room was undeniable! Attendees that made their way to the second floor to visit our suite received a real life dispensary experience and a 1-on-1 demo with someone from our team. We showcased our solution to hundreds of attendees from Monday morning until Wednesday afternoon. 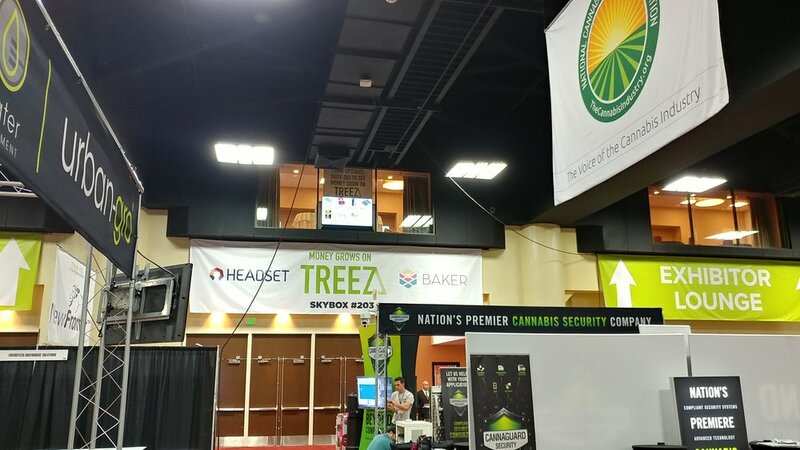 While the Expo floor was buzzing with cutting edge Cannabis solutions and information one thing was clear, Treez is the new dominant cannabistech in the industry. We were humbled to draw eager crowds of attendees wanting to “know what the buzz was about”.